Posted on March 29, 2018 by treelawyer	tagged. In the land of pleasant living, we can and often do sue for almost anything. Even so, today’s case is especially egregious. Today’s plaintiff, Betsy Stibler – whom the court of appeals suggests just may be hypersensitive – apparently had gotten used to seeing for miles and miles from her kitchen window. Or at least to the 18th hole of the golf course next door. When The Country Club, Inc., owner of the eponymously-named facility next door (and you have no idea how badly we have wanted to used “eponymously” in a blog) planted a number of additional trees on its gold course – trees that neither hung over or grew under Betsy’s property, she sued. 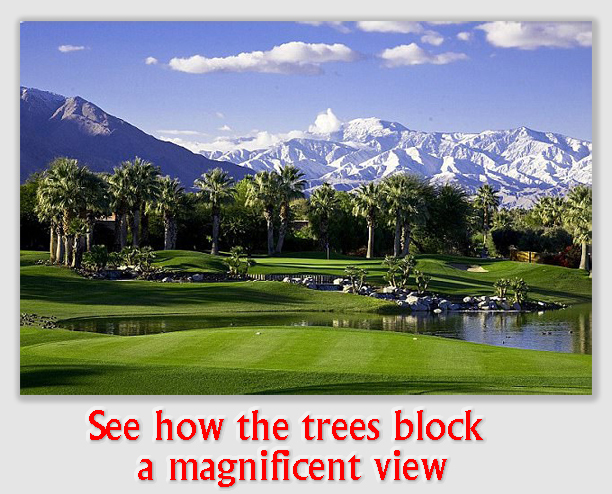 Sued for no better reason than the trees interfered with her seeing the goings-on on the golf course. OK, the world is full of people like Betsy. Not only do they claim a right to the air they breathe, they claim the air we’re breathing, too. And everything is personal. (Note that Betsy did not just sue because the Country Club’s trees blocked her view of its property, she claimed the trees were planted maliciously, for the purpose of annoying her). But most of those other Betsies don’t have the spare change to hire a lawyer to sue the offending tree planters. Those who do have the money usually have better sense than to fritter it away in a foolish lawsuit, and even then, who don’t have that good sense usually cannot find a lawyer with the same reckless approach to litigation as they do. They enter their attorney’s office full of rage, and then he or she patiently talks them off the ledge. But occasionally we hit the frivolous litigation trifecta, and that happened in this case. Betsy convinced herself that God or the subdivision or someone had decreed that she should always be able to see the golf course (although why she wanted to puzzles us), and she apparently had the excess money to pay a lawyer to tilt at her windmill for her. Finally, she found a lawyer hungry or foolish enough to take the case. Now, all that was missing was a compliant judge. Fortunately for the defendants, Betsy could not find one of those. 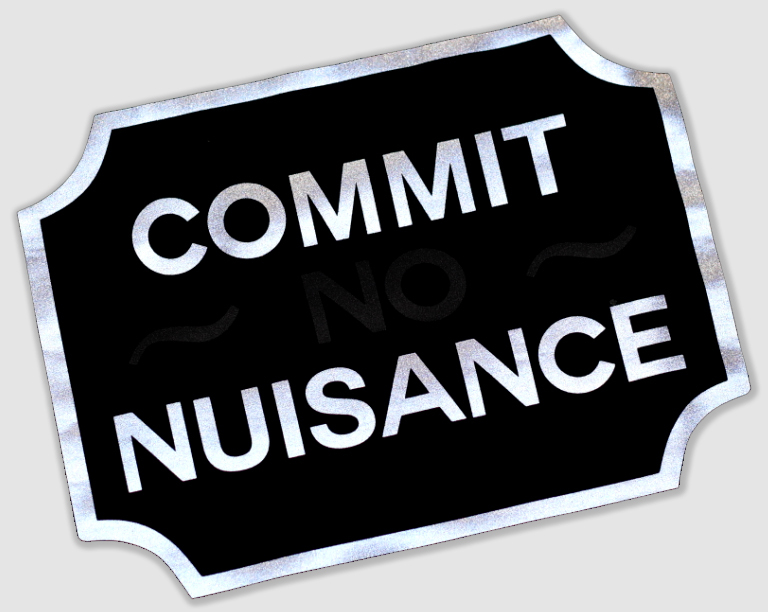 It turns out that for trees to be declared a nuisance in Kentucky requires less sensible judges, not to mention more sensible harm than some cranky lady who does not like the neighbors’ new landscaping. Stibler v. The Country Club, Inc., Case No. E2014-00743-COA-R3-CV (Ct.App. Tenn., Mar. 9, 2015). Betsy Stibler owned a residence next door to The Country Club’s eponymous golf course. In 2013, The Club planted trees all over its gold course, including Green Giant and Skip Laurel trees planted on the portion of the course which lies behind Betsy’s house. The trees do not encroach on Betsy’s land, and caused no physical damage to her place. 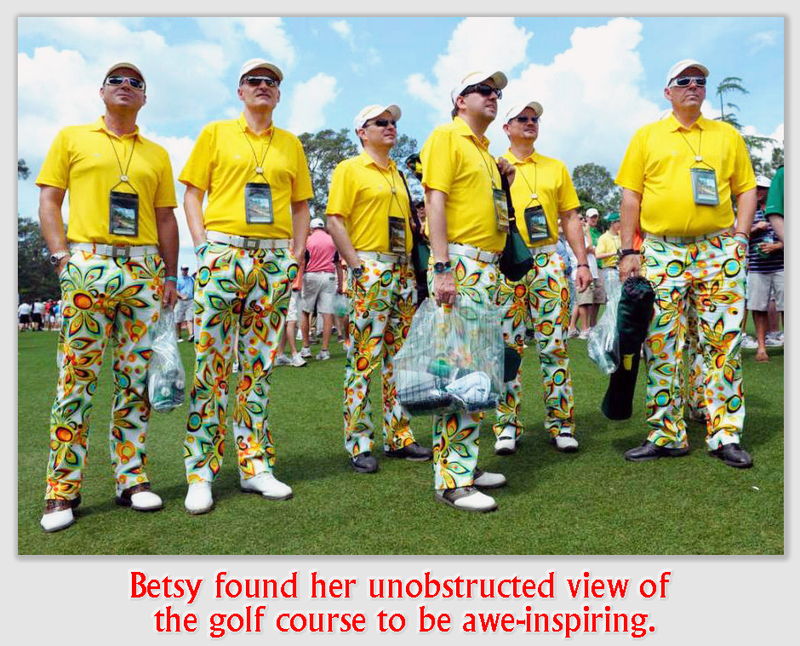 But what they do do is obstruct Betsy’s view of the course. The Club filed a motion for summary judgment, which the trial court granted on the grounds that Betsy could not prove that the trees constituted a nuisance. Held: The trees are not a nuisance. Betsy argued that the subdivision restrictions meant that The Club should be prohibited from interfering with her enjoyment of her property “by changing the very character and nature of her home as a golf course view property.” Betsy asserted that because the trees are a nuisance, they are prohibited by the subdivision restrictions. She also contended that the requirement that park spaces, which Betsy asserted included the golf course, must be preserved for the “enjoyment of all persons owning lots in said sub-division” meant her view of the course had to be maintained.